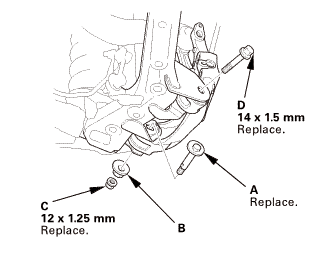 Remove the parking brake cable mounting bolt (C). 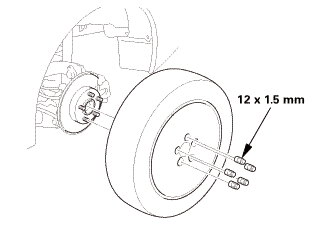 Place a floor jack under the trailing arm to support it. 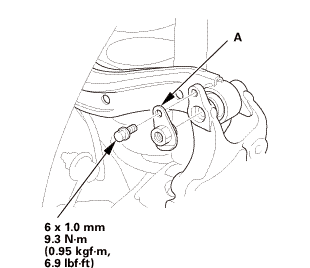 NOTE: Do not place the jack against the plate section of the lower arm. 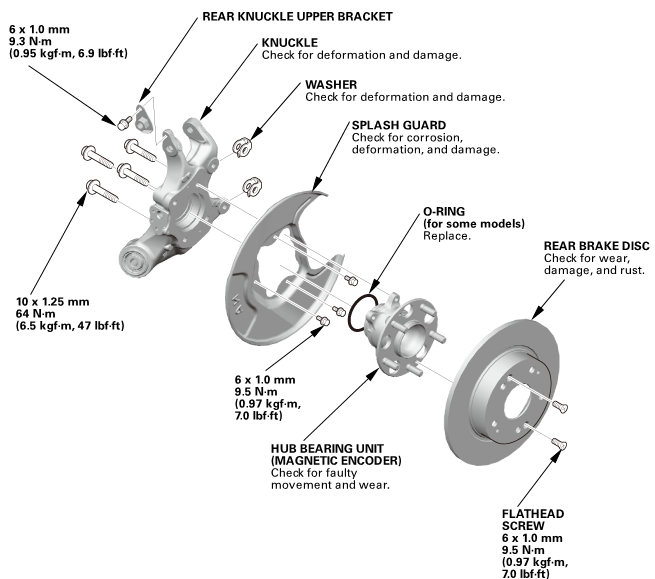 Be careful not to damage any suspension components. 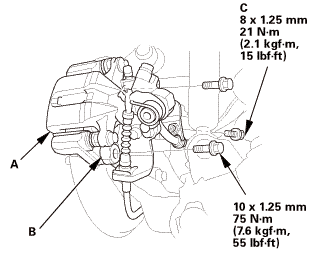 Remove the rear knuckle upper bracket (A). 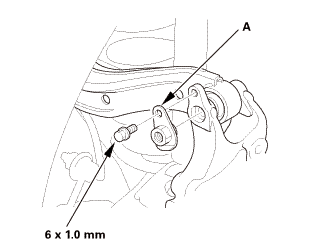 Mark the cam positions of the adjusting bolt (A) with the frame. 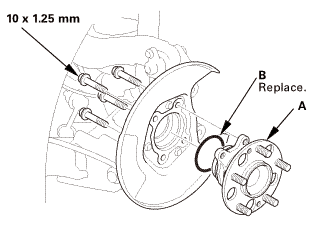 Mark the cam positions of the adjusting cam plate (B) with the frame. 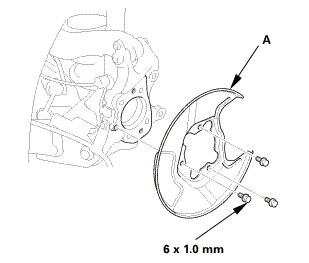 Remove the self-locking nut (C), the adjusting cam plate, and the adjusting bolt. 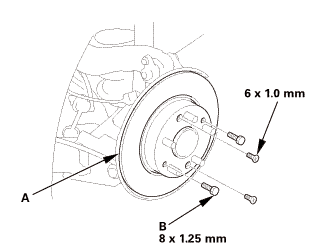 Remove the flange bolt (D). 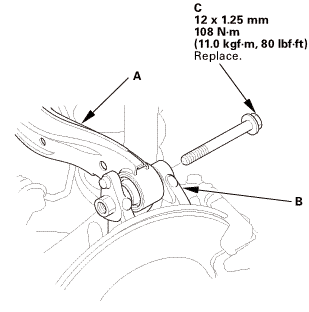 Disconnect the knuckle from the trailing arm. 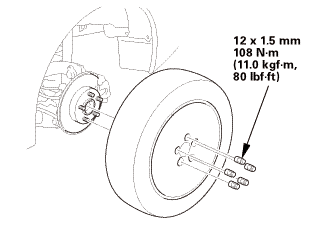 Connect the knuckle to the trailing arm. 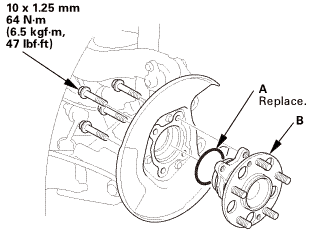 Loosely install the new flange bolt (A). 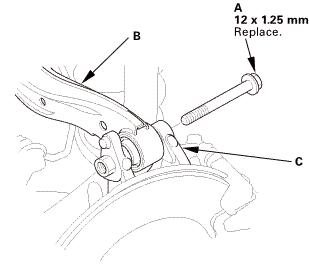 Loosely install the new self-locking nut (B), the adjusting cam plate (C), and the new adjusting bolt (D). 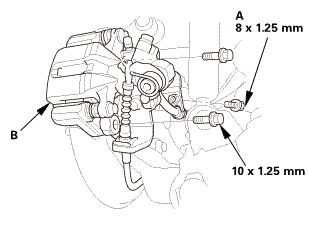 NOTE: Align the cam positions of the adjusting bolt and the adjusting cam plate with the marked positions when tightening the self-locking nut. 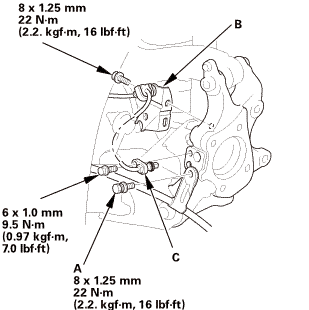 Install the rear knuckle upper bracket (A). 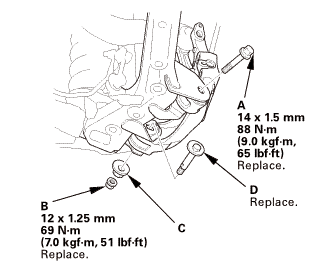 Install the parking brake cable mounting bolt (A). 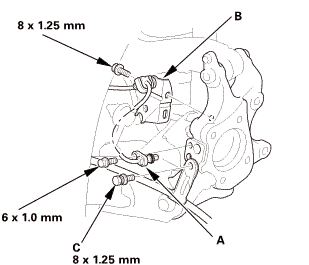 Install the brake hose mounting bracket (B). 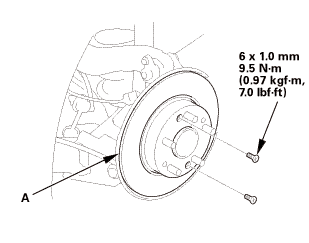 Install the wheel speed sensor (C). 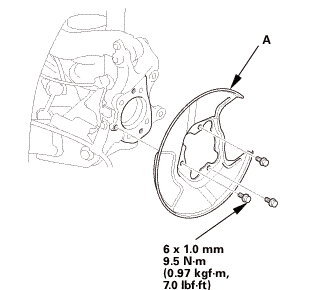 Install the splash guard (A).